AME Liquid Tire Balancer will not block a valve stem, will not ball up and will help you detect any valve stem or tire damage. Blaster or Cheetah is OK to use with AME Liquid Tire Balancer. Tire technicians using AME Liquid Tire Balancer state that this product makes their job safer and and easier. 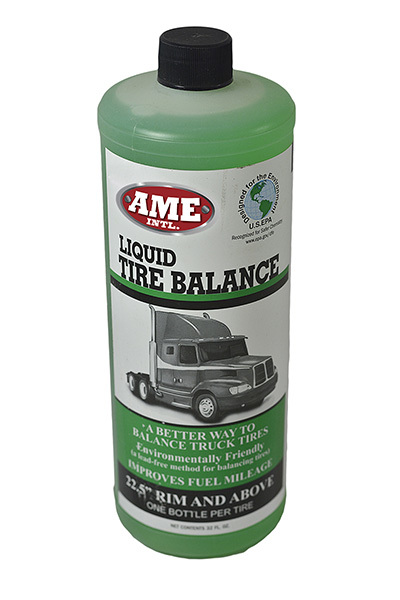 AME Liquid Tire Balancer installation instructions are on the bottle or bucket. Available in a case of 12 bottles (26140) or a 6 gallon bucket (26142).